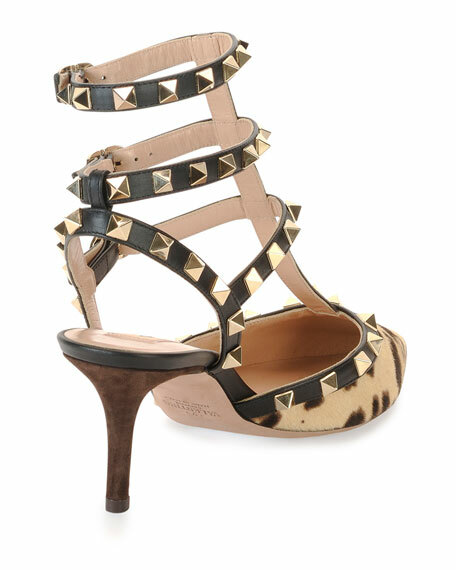 Valentino Garavani sandal in leopard-print, dyed calf hair (Italy). Halter and buckle straps for custom fit. For in-store inquiries, use sku #877443.